Sustainable Coffee Bay’s High School Scholarship Program was the brain child of Coffee Shack Backpackers. In 2011, Sustainable Coffee Bay was registered as the non profit organisation that took over Coffee Shack’s Community Projects. To this day, we maintain a close relationship with our original founders and discovered these wonderful stories in our archives, so please enjoy our short quarterly student tales..
Our first sponsors were Jeremy and Christine who were our guests at Coffee Shack in 2003. 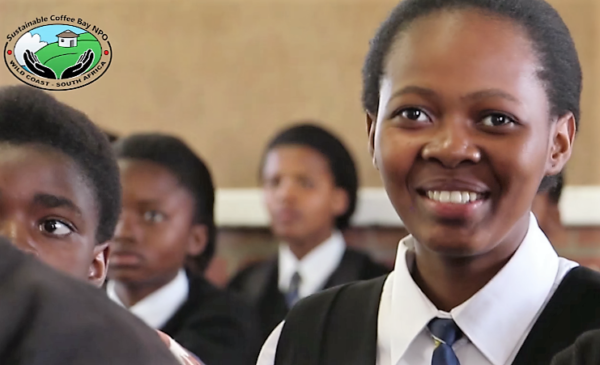 Sonwabo is a delightful, energetic learner and attended school at Dalibaso Senior School. He had a good start at the beginning of the year but later encountered some difficulties. The village he lived in was regularly attacked by criminals, who would terrorize their accommodation. Sonwabo would often return to his rented accommodation after coming home for the weekend, to find all his food and clothing stolen. One night, criminals attacked the house he was renting with his sister and they had to flee out the window. All this was happening towards examination time, but most importantly he came through with a passing grade. We were so proud when Sonwabo received an award during the first half of the year for leadership qualities! But sadly in the year 2005 he didn’t do very well and dropped out in his final year! The conditions he was living under with no adult supervision at the age of 16 was proving to be too tough. This was heartbreaking for the team running the community projects at the time, but with lessons learned the programme continues. Today Sonwabo is currently employed as a driver, bucking the unemployment figures in our area. If you would like to contribute to our high school programme please get in touch.